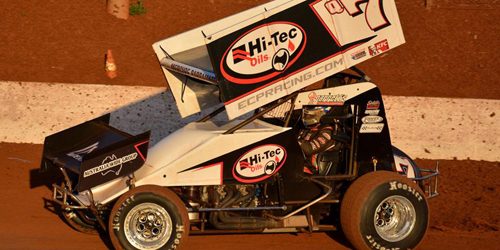 ARCHERFIELD, QLD (January 26, 2019) – Robbie Farr took a big step towards securing his second Australian Sprintcar Championship when he took out the Preliminary A-Main at Ausdeck Patios Archerfield Speedway on Saturday night (January 26). Starting from pole position, Farr led every circulation of the 25-lap event, but he certainly didn’t have an easy time of it as both Kerry Madsen and Brooke Tatnell applied plenty of pressure and it was the latter who would eventually finish in second spot. With Madsen and some others enduring misfortunes whilst in strong contention for a podium position, it was Steven Lines who emerged with third place ahead of Andrew Scheuerle and Ian Madsen. Sixth home was Peter Lack, with James McFadden, David Murcott, Matthew Dumesny and Luke Oldfield rounding out the top ten. On a night of mixed fortunes that saw most of the expected front runners on form, there were several high profile competitors whose lack of familiarity with the Archerfield circuit left them languishing near the bottom of the standings with a lot of work to do to climb their way into contention. Other than the fact that several cars somehow crashed out, there were few surprises when the 58 cars hit the track for qualifying in time trials with Farr, Madsen, Oldfield, Scheuerle and Jamie Veal topping the timesheets in their respective groups, with Veal emerging fastest overall with a best lap of 11.716. Heat two produced plenty of action under strange circumstances when, with the field under yellow because of a spun Nathan Black in turn one, Kevin Britten and Marcus Dumesny somehow came together, leaving Britten upside down and Dumesny with a flat tyre and putting both out of action. Once order was restored, Garry Brazier went on to score a popular win over Daniel Sayre and Mark Pholi. Danny Reidy prevailed in heat three ahead of Brent Kratzman and Dan Murray, with Queensland champion Mitchell Gee striking trouble and failing to go the distance. McHugh downed Max Dumesny and Farr in heat four, while Brenden Rallings saw his night end before it had even started when he rode a wheel and crashed out in turn two on the opening lap. The final heat of the opening round saw Matt Dumesny victorious over Jessie Attard and Luke Oldfield, who surged from position eight. With the fastest qualifiers getting front row starts in the second round of heats, it was no surprise that all were won from the front row, with Scheurele, Veal, Madsen, Farr and Tatnell sharing the spoils to consolidate their positions at the top of the charts. Incidents included Brodie Tulloch exiting heat eight after clipping an infield marker, a tangle between Steve Greer and Nathan McFarlane that put the latter on the infield for the second time and a spin from Allan Woods in the final heat that resulted in him finishing upside down. Murcott was superb in the Preliminary B Main, surging to the front from position five within three laps and then leading Matt Dumesny and Darren Jensen to the chequer. A stunning run from Jessie Attard saw him surge from 16th to finish fourth and secure the final transfer spot at the expense of Max Dumesny. Other to miss a feature berth included Mark Pholi, Michael Saller, Jock Goodyer, Brock Dean, Aprile and Ben Hilder, while the likes of Sayre, Kratzmann and Jordyn Brazier failed to go the distance and also missed out on the main event. When the green flag flew to get the feature underway, Farr fled to establish a sizeable lead in the opening laps. However, it wasn’t long before Madsen had surged into second spot and, much like he had done in the Prelude feature race on Wednesday night, he seemed content to bide his time. Veal slotted into third ahead of McFadden and Tatnell, both of whom had moved ahead of Oldfield. After a sluggish start, Scheuerle started to make forward progress and also moved ahead of Oldfield. McFadden moved ahead of Veal for third on lap 14, only for Veal to reclaim the spot on the next lap and they continued to trade blows until they came unstuck in turn one on lap 18 to trigger the first restart; the blocked track forcing Oldfield to stop and subsequently forced to join McFadden at the back of the field. Immediately upon resumption, Madsen decided it was time to make his move and looked for an outside run on Farr into turn three, only for the leader to move up-track and collect the defending champion, putting him on the infield with Veal, Reidy and Titman, who exited on lap two after whacking the wall in the main straight. With Madsen, Veal, McFadden and Oldfield out of contention, Tatnell moved to second and made his intentions clear, executing a slide-job through turn four to emerge with the lead, only for Farr to immediately reclaim the position. Farr saw off the challenge and would eventually finish 1.5 seconds clear of Tatnell, with Lines again slipping under the radar to secure third ahead of Scheurele, Ian Madsen and Peter Lack. McFadden clawed back seven spots in seven laps to snare seventh, with another big run from Murcott carrying him to eighth ahead of Matt Dumesny, Oldfield, Attard, Randy Morgan and Jensen. Whilst Farr is currently looking strong, there are plenty of others who have a lot of work to do to climb their way into Sunday night’s championship final, including the likes of Sam Walsh (31st), Jack Lee (33rd), Gee (35th), Mitchell Wormall (41st), Ben Atkinson (42nd) and Ryan Jones (56th). The Sunday night program will feature a final round of heats and the D, C and B Mains prior to the 40-lap championship final presented by BK Trading. 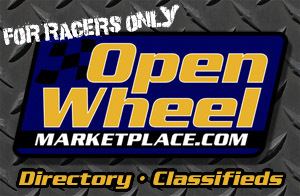 With a support program comprising Midgets and Compact Speedcars, a huge night of open wheel racing awaits.